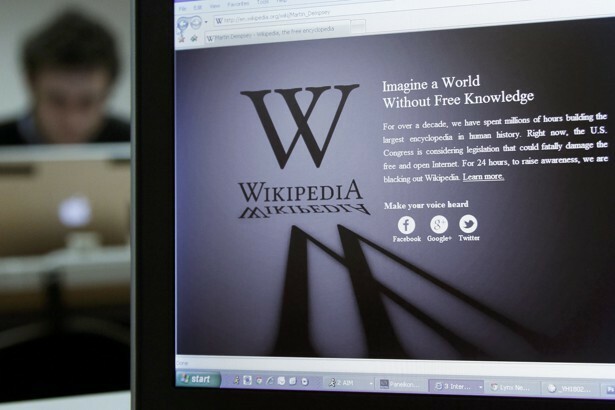 Turkey blocked access to the online encyclopedia Wikipedia on Saturday, citing a law that allows the government to ban certain websites for the protection of the public. The news is another measure in which President Tayyip Erdogan has tightened control on the country since last year’s failed coup. Since then, the president has suspended 120,000 police officers, civil service employees, and judiciary workers. He has forced the closure of dozens of media organizations. And he has also arrested more than 40,000 people on accusations of being tied to terrorist groups. The move also comes shortly after Erdogan won a vote earlier this month that greatly expanded his powers. Turkey did not say why it chose to block Wikipedia, other than it had taken “an administrative measure” after “technical analysis and legal consideration … .” But the state-run Anadolu Agency quoted an official from the ministry of transport who said the government blocked the site because it was part of a “coordinated smear campaign.” The article went on to say a Wikipedia entry claimed Turkey was aligned with various terrorist organizations. Turkey asked the site to remove the article, according to the Anadolu Agency, but it refused to do so. The first to notice the ban was Turkey Blocks, a watchdog nonprofit that tracks internet freedoms in the country. It is not unusual for Turkey to block popular websites, and it has previously barred people from logging onto social media platforms like Twitter and Facebook, usually during large protests. In March 2014 Turkey blocked YouTube for months after someone uploaded footage of a security meeting of top officials discussing Syria. It has also imposed restrictions before on the the messaging app WhatsApp.